The Feline Genetics Laboratory at the University of Missouri is studying the clinical presentation and the genetics of dwarf cats, most commonly known as Munchkins. One complication of dwarfism is extreme bowing of the limbs, thus, we are examining radiographs of normal, standard leg length cats and comparing to the presentation of dwarf cats. An overall goal is to provide guidance for the limb standards of dwarf cats to prevent the breeding and production of cats with functional disabilities. The genetic study of the dwarf cats is well underway and we are looking for a causal mutation for the chondrodysplastic presentation. Buccal swabs and pedigrees are always welcome to support this aspect of the study. 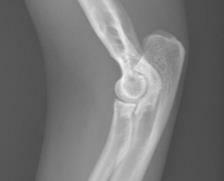 In addition, we are performing a radiographical (X-rays) study of the forelimbs (front legs) of the dwarf cats. We can accept images from anywhere in the world, provided the images are of good quality and are taken at the suggested angles below. The sedation of the cat is very important. We can further discuss the techniques below with your participating veterinarian. Digital images required. Film images may be scanned and sent via digital media to be analyzed. Adherence to the following guidelines is strongly recommended; however, orientation of chondrodysplastic limbs may limit the ability to orient them into proper positioning. 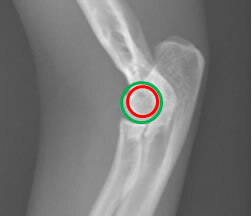 Technique must be followed as closely as possible without causing undo pain or stress on the forelimbs. Sedation should be to a plane in which cats are still conscious of their surroundings but can be manipulated to take appropriate images. 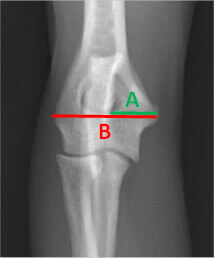 This is to ensure that the forelimb remains in a normal orientation for imaging.